We create an image to our clients that will instantly make the essence and uniqueness of their company crystal clear to all viewers. In our opinion, great web design does not only have to look nice but has to be simple, original and most importantly, fully functional. Visitors of your website and users of your application will see this interface, hence the importance of functionality and proper transfer of content. This is the only way for your online efforts to be successful; the success of your business may depend on it. The Internet is now not just the toy of your friend’s weird kid anymore. It has become part of our life and an important channel of communication with your customers and clients. We will determine how it can be most useful to you personally. Most of our websites are much more than you can see: behind a single web shop, there might be hidden the management of all orders, shipping and inventory or even the entire management of the company. We will help you find your own voice and style, based on which your future customers can clearly identify you. The task of your logo and image is not only to distinguish you from competition but also to give an idea about your company’s way of thinking and quality, as well as to clearly express the essence and uniqueness of your company. The main goal is that people should remember you and your product. Despite the fact that digital content gains more and more importance, physical appearance of companies is still important. People are exposed to more and more visual stimuli, it is difficult to stand out in this bright, crowded environment, but first impression is crucial. We will help you transfer your image onto printed publications and packaging. We create an image for our clients which instantly makes the essence and uniqueness of their company understandable to anyone who encounters their image or website. The Internet used to be a one-sided dialog for a long time, the viewer had to accept what they saw. However now this has changed, since there is constant feedback from the users and customers. A company may only be successful if these reactions are taken into consideration and if they react according to the users’ habits and needs. This way, requirements towards websites and web shops are constantly changing. With every project, we brainstorm together, we unite our diverse areas of expertise while we approach the problem to be solved from several directions. We often perfect each other’s ideas, our goal is to find the perfect solution. Creating a spectacular and successful work that users love is not our only goal, it is also important for us to build companies and brands successful in business, and help their way through the digital world. It is important for every website to have a stable base. To achieve this, we use our self-developed Sputnik PHP frameworks, which was created before VOOV was founded and which we constantly update ever since. The most important aspect when creating the system was that with it we should be able to fulfill all kinds of requests of our clients. 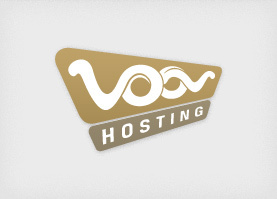 We also offer website and email hosting, and we register Hungarian, generic and country-level domain names as well. This is how we would like to make website management easier for our clients. 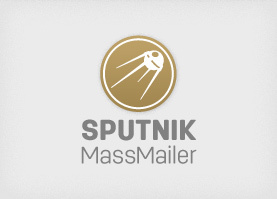 Sputnik MassMailer is a self-developed newsletter sending system for email marketing purposes. It can be used with any page, even more than one at the same time, since it is able to manage more than one newsletter templates at once. The system runs on our own servers, thanks to which you do not have to bother installing and maintaining it. Our system is continuously updated according to changing technological requirements.